We are always seeking friendly, positive, hardworking people to join our call center team! Fill out the form below! Join our exciting team! Find out why employees love working at OnBrand24! We are always looking for new team members for our inbound customer support and sales teams. Our Mission is to provide an environment and culture that empowers our employees to represent our client’s brands passionately. Our people are our product, and we have developed an employee-centric culture at OnBrand24 to support high employee morale. We promote our management staff from within and offer excellent benefits resulting in a low turnover rate and excellent morale throughout the company. Being open 24/7, we offer shifts for days, evenings, overnights and weekends. 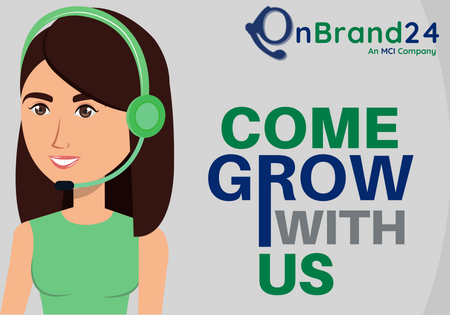 Becoming a member of the OnBrand24 call center team not only provides great benefits, but also a career path! Applied already? Checking application status? Click Below!